London and Tokyo, January 16th 2019 - Masabi, the company bringing Software-as-a-Service (SaaS) ticketing and payments to public transport, and Jorudan, Japan’s leading trip planning service, today announced that they have signed a partnership agreement to bring mobile ticketing to the Japanese transit market and integrate their best-of-breed services to deliver a seamless passenger experience. Under the terms of the deal, Jorudan will integrate the Justride mobile ticketing SDK into its market leading transit apps, meaning once an operator signs up to the service, tickets will be available in the application. 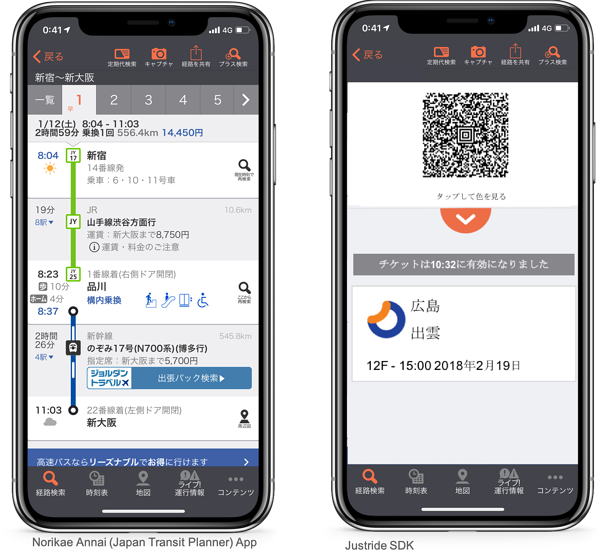 The Japanese company will also use the Justride External Orders API to deliver tickets to users smartphones when purchased through Jorudan’s Norikae An-nai (Transit Route Search) website and Japan Transit Planner website. 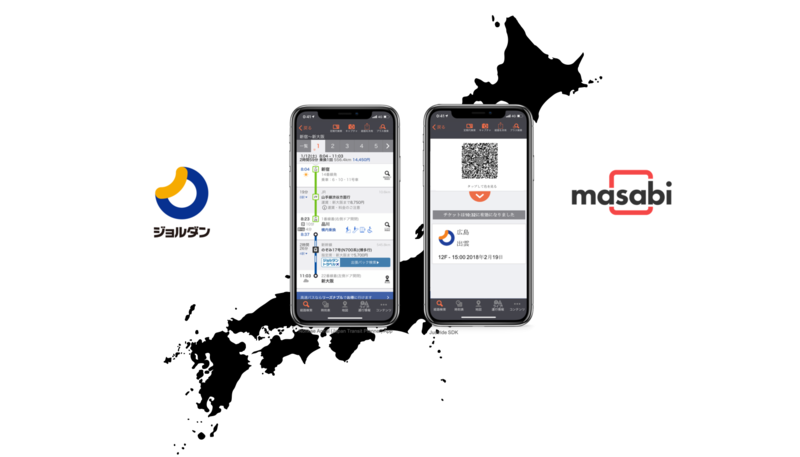 The two companies will jointly market the ticketing solution to transit operators which will also include Masabi’s Justride Inspect ticket validation solutions. Masabi’s Justride SDK is the first and only mobile ticketing SDK for public transport. It allows 3rd party applications to request fare types, make payments, and deliver visual and barcode mobile tickets to passengers through a secure ticket wallet. A number of partners world-wide have integrated the SDK to sell tickets via existing Apps or to launch new services, these include; Uber, Transit, Gertek and Kisio/Keolis. Masabi is the global pioneer for transit mobile ticketing, and with over 50 clients across 4 continents the Justride Mobility Platform is the most widely deployed end-to-end mobile and account-based ticketing solution in operation, serving customers of all sizes, from the largest agency in the USA to the smallest bus operator. Masabi is the category creator for transit mobile ticketing and with over 50 clients across 4 continents the Justride mobility platform is the most widely deployed end-to-end mobile and account-based ticketing solution in operation, serving the largest agency in the USA to the smallest bus operator. It has offices in New York, London, Denver and Cluj and investors include Mastercard and Keolis. Jorudan, founded in December 1979, aims to become the “number one travel tech company” by providing a broad selection of products from journey planning based software, mobile content, travel agency services and gaming. Jorudan’s core service, the Norikae Annai (Transit Route Search) app, has more than 30 million downloads and supports countless passengers with public transportation. In July 2018, Jorudan established J MaaS to seek participation from company and organisations interested in joining their transit service plat-form.